Nicole Smith is the Economic Analyst Project Manager. She said the results will be used to show others how the fair impacts the community. “About 10 years ago the state funding was cut for the state fair. So we would like to be able to show our sponsors, vendors, customers and the community how we saved the state fair and how it has an impact both locally and regionally,” Smith said. The surveys are being conducted at a booth on the midway. Surveyors are also walking the fairgrounds asking fairgoers to participate. Those that do are entered into a drawing for fair tickets and items. Smith said 85 people responded in the first two days of the fair. The information will be compiled by the Michigan State University’s Center for Economic Analysis. The survey is being funded a regional prosperity grant from the Michigan Department of Technology, Management and Budget. Surveys can also be taken online at upstatefair.net. 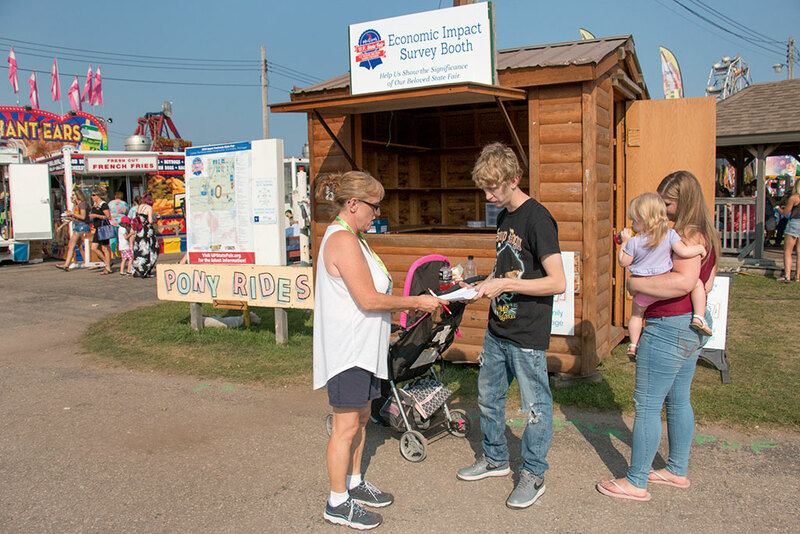 Share the post "Survey to help gauge economic impact of Upper Peninsula State Fair"
Categories: Delta County, Featured, and Tourism.